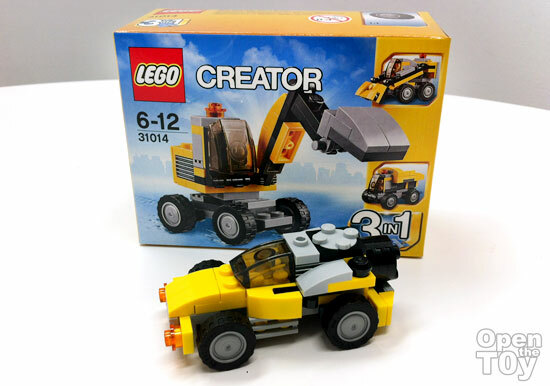 Remember the LEGO CREATOR 31014 Power Digger building toy set? Although the set comes with only 64 brick pieces, this does not stop fellow MOC (My Own Creation) enthusiasts to try and build new models using the same of brick pieces. 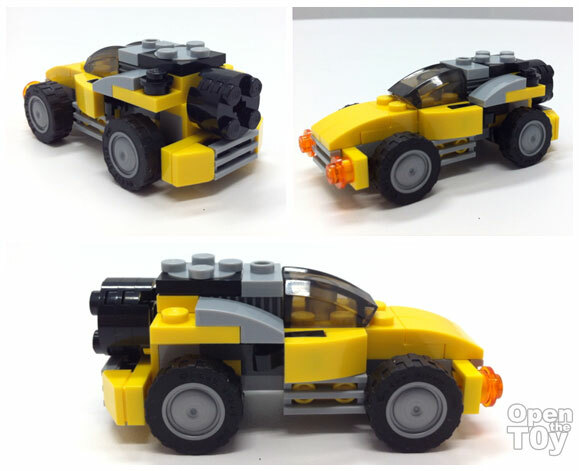 I found this Dune Hopper model designed by Jozsef Venczel and posted on mocpages.com. I loved the design of this model and built this toy following his instructions. What I liked about this Dune Hopper model is it looks very compact and sleek aerodynamic exterior. There are also details like vents, spare tyre holder and headlights built out of assorted brick prices which make the model look accurate. I can imagine this Dune Hopper is the rally race car of the future. The driver goes racing in rallys across different terrains and the vehicle “jumps” over every hump it encounters. It is refreshing to know and be able to build this MOC Dune Hopper model. I am sure young children who love futuristic looking cars will enjoy building and playing this little toy. Credits to Jozsef Venczel for this model designed.